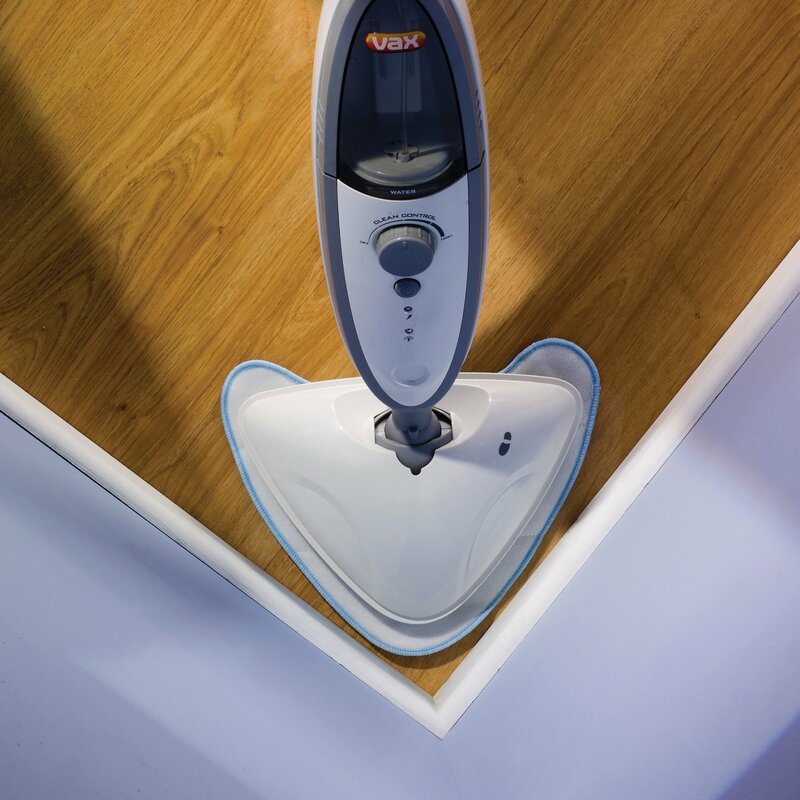 Vax Steam Mop - S2S-1 Bare Floor Pro With Detergent is a really useful cleaning tool for tiled and laminate floors. Very easy to use - To steam clean your hard floors, simply attach a cleaning pad and then fill up the clean water and detergent tanks. Switch it on and wait a minute for it to heat up. Once the green light comes on, you’re ready to steam. Squeeze the trigger to release the steam and move the steam stick slowly backwards and forwards across the floor. Plus you can use it to refresh your carpets and rugs, simply fit the carpet glider tool over the cleaning pad before use. A full tank of clean water provides around 10 minutes steaming time.